V. S. LAW OFFICE offers a full array of legal research services and solutions to Draftingcorporate and consulting companies. 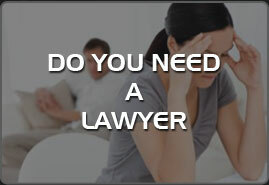 Our experienced, dedicated research team, lead by experienced lawyers have vast diversified experience of research in Real Estate, Service Matters, Rent Laws, Banking, Corporate laws, Intellectual Property Rights, Labour & Industrial Disputes, Consumer and Family Law, Criminal matters, Litigation & arbitration case law research. Our Team works closely with clients and manages all facets of primary projects, including the recommendation of appropriate methodologies, project management, environment impact assessment and data analysis to make the right decisions. For legal risk analysis, we investigate the whole case problem areas, to know what works, what doesnâ€™t work and advice on the best practices to follow and the pitfalls to be avoided. India having vast geographical diversity has different regional specific State laws applicable to that specific State only. We keep ourselves abreast with all the latest development in the laws by maintaining track on newly enforced Acts, Rules and Regulations, Bill proposed, Ordinance framed, Treaties, Customs, Government and Departmental Notifications, Circulars, the latest amendments made in Act, Rules and Regulation. On request, we also keep our client informed and updated by way of monthly newsletters, to assist them to carry on their business in compliance with the law. Our associate lawyers have outstanding knowledge and experience in drafting various kind of agreements involving different transaction.Â We maintain a highly trained and experienced team of attorneys in India for contract review and drafting work. Their experience and expertise saves you time, ensures accuracy and allows your internal attorneys to focus on more substantive legal matters. The lawyers at VS LAW OFFICE are experts in drafting and reviewing contracts that fit your business practices, processes and procedures at very reasonable rates. Summarization of Contracts and analysis of key contractual terms and identification of missing, corrupt and duplicate files. Proofreading of the agreement drafted by the other party to make sure that it does not have a clause that might be interpreted against you. Analysis of a particular clause to see if it has the same meaning applied to it in a different jurisdiction. Removal of inconsistent language from the contracts to minimize legal and business risks. We are engaged in undertaking Drafting & Vetting of Contract for our clients. Due to the support of our legal experts, we are able to draft different kinds of agreements. As we are conscious about safeguarding the interest of our clients, while drafting the agreements therefore we have appointed experienced lawyers.